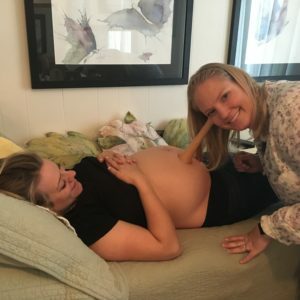 At the Sierra Natural Birth Center we work as a team. Every birth will be attended by two licensed professionals: a Certified Nurse Midwife (CNM), a Licensed Midwife (LM), or a Registered Nurse (RN). 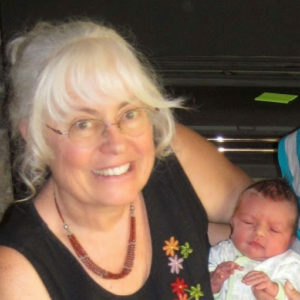 Ellie has been practicing midwifery, bringing babies into the world for nearly 40 years now. After the loss of her first pregnancy and the realization that she knew absolutely nothing about her own body or pregnancy, Ellie wanted to learn everything she could in preparation for her next pregnancy. When reading the early writings of Ina May Gaskin, she knew she was to become a midwife, which inspired her educational quest in the spring of 1974. She caught her first baby in June of 1976. 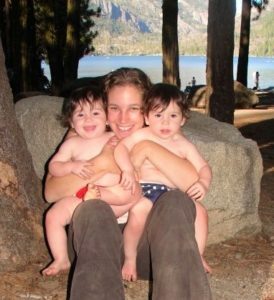 In her early years, Ellie attended births as a traveling home birth midwife throughout the Sierra foothills and Central Valley. Her dream to have her own birth center, close to home, where families can come and have their babies in a peaceful and comfortable environment came to fruition June 19th, 2014. Ellie believes that every baby should be born into loving hands and desires for that love to be extended to the parents throughout the childbearing year. This is accomplished through a holistic and educational approach to care that empowers women and their partners to trust and feel comfortable with their bodies. Ellie’s two adult children were born in her home next to the birth center. She lives with her husband of over 22 years in Sonora, California and together they have six adult children and twelve grandchildren. Ellie loves caring for mamas and babies and if she ever takes a break, she enjoys the great outdoors, swimming, being creative, and tending to her beloved chickens on the birth center’s small farm. Dody’s journey in birth work started in 1973 during her hospital stay following the birth of her first child. After hearing another woman screaming in childbirth, Dody felt compelled to help her and other women like her. She has played the roll of childbirth educator, doula, assistant, and direct entry midwife in births across the United States in both home and hospital settings. She currently travels in the tri-county area (including Stanislaus County) delivering couples at home. Dody believes that every woman should be able to give birth the way she wants surrounded by nurturing, comforting, and informed people. She received her licensing and certification in 2012. Dody lives with her husband of over 43 years in Sonora, California. She is a mother of three adult children, two of whom were born at home. She is the proud grandmother of eight and loves flowers and history. Mary Beth Sponsler was born and raised in a Soulsbyville and is a Registered Nurse, as well as, a Childbirth and Postpartum Doula. She spent 17 years working locally as a med/surg nurse, cardiac rehab nurse, emergency room nurse, and nursing supervisor. She also worked at the Tuolumne County Health Department as a Public Health Nurse for pregnant teens and pregnant adult women. Mary Beth has also enjoyed teaching Childbirth Education classes. From the time she was a teenager, Mary Beth dreamed of one day having natural childbirths and home birth deliveries. Her dream came true in 1998, when she gave birth at home to her first son, Joshua, with Ellie Jasmer, CNM by her side. She went on to have three more natural childbirths with Ellie. Each birth was intimate and peaceful, filled with joy, and incredibly empowering milestones in her life. It is her great joy to serve women during their labor, delivery, and postpartum experience. Mary Beth wholeheartedly believes that birth is a sacred and miraculous journey that equips women for a lifetime of love, courage, and strength. Mary Beth and her husband of over 20 years live in Soulsbyville with their four wonderful children. 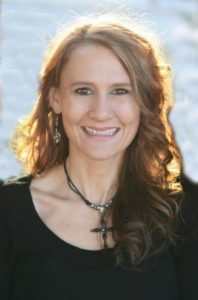 She and her family are incredibly passionate about global missions ministry and in 2009, they founded their own non-profit organization, Bending the Bow International (www.facebook.com/bendingthebow). 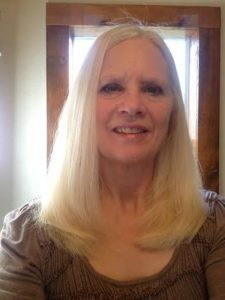 Mary Beth also loves photography, homeschooling and homesteading as well as traveling and learning all she can about different cultures. The calling to care for mothers and babies was laid upon Spring’s heart at 7, “As far back as I can remember, I always knew this is what I was born to do.” During her 14 year nursing career in Labor, Delivery, Post-partum and Newborn care in the hospital setting, Spring learned the value of empowering women and families to choose their own birth experience in a safe, supportive and loving environment. It was the birth of her third child at home with Ellie that opened her eyes to the realm of possibilities for providing this type of care. Spring lives with her husband and 4 school-age children. When she isn’t studying, she can usually be found at one of her kids’ sporting or school events and she is a Board Trustee for Summerville Union High School District.